Alpe d'HuZes is a unique sporting event where as much money as possible is raised for cancer research and for improving the quality of life of people with cancer. On a single day, 5000 participants will bike, hike or run the Alpe d'Huez. Attempting a maximum of six climbs, under the motto 'giving up is not an option'. The race day is always on the first Thursday in June and is part of a complete week, which is being prepared for a full year. A special week full of solidarity, in which cancer is openly discussed for everyone. In 2019, the 21 turns of the Alpe d'Huez will be climbed for the fourteenth time. 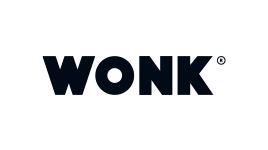 100% donations to cancer research: every euro donated to the Alpe d'HuZes/KWF Fund goes directly and 100% to cancer research. Thanks to our sponsors and volunteers, we can organise this event. 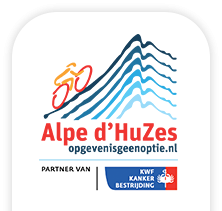 Alpe d'HuZes has no overhead costs, staff or its own office. Organisational costs are only paid from the registration fees. All other supplies are provided to Alpe d'HuZes free of charge! Cancer patient is central: in everything we do, we put the interests of the cancer patient first. Since 2006, over 162 million euros has been raised for high-quality, relevant and ground-breaking cancer research, always in the patient's interest. 100% volunteers: the entire organisation is run by professionals who work as volunteers. From logistics, catering, medical to communication and board. We are incredibly proud of that! This way all donations can go entirely to the Alpe d'HuZes/KWF Fund. No one has to die from cancer. Don't you believe so? Join us!